Jigar Cables is engaged in manufacturing of wires and cables wires in India. The company manufactures Power and Control Cables, House Wires/ Building Wires, Flat Cables for Submersible pumps and Aerial Bunched cables under the brand name “SIGMA”. The company procures major raw material i.e. Copper and Aluminium Coil from Ultracab (India) Limited while other raw materials like PVC and XLPE are procured domestically. Its manufacturing facilities are equipped with in-house testing laboratory to ensure that the finished products match the quality standards and certifications as specified. Before commencement of the manufacturing process, the raw materials procured also undergoes a quality check conducted by in house testing laboratory. 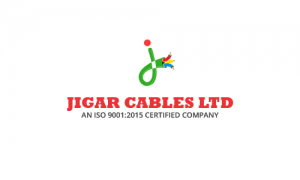 Jigar Cables is an ISO 9001:2015 compliant company and follows strict quality standards during manufacturing process. Once the product is ready, it is checked for safety and quality assurance. It has recently incorporated a new company under the name of Jigar Polymers Limited, for manufacturing of PVC and XLPE and achieving operational efficiency by backward integration. Post commencement of business of Jigar Polymers Limited, all major raw materials required in manufacturing of its products would be in house. * Figures represent performance of partnership firm till 6 Feb 2017. Jigar Cables IPO allotment status is available on Bigshare Services' website. Click on this link to get allotment status. In two words – stay away! Shady company! I am new in investing but i am determined to learn, so can you please tell me that on what basis you are claiming to stay away?